You are here: MarciaConner.com > Marcia’s Blog > change > Companies Ruin Work. Adam Explains Why. 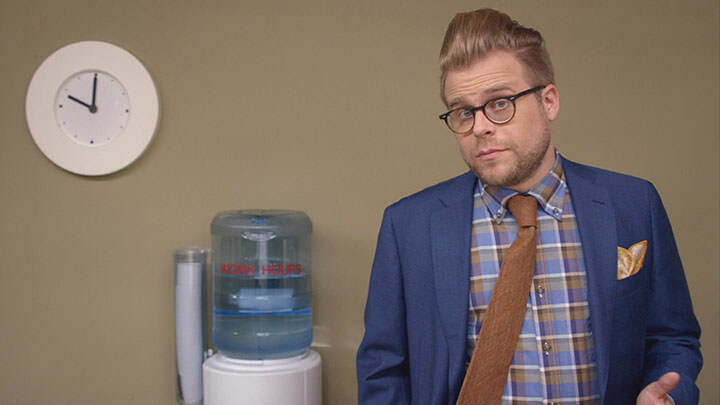 If you’re not familiar with Adam Conover’s cult classic TV show Adam Ruins Everything (TruTV), think mega Mythbusters for myths you didn’t even know you held–about topics as diverse as mouthwash and eyeglasses, to the prison system and the sharing economy. One of my favorite episodes debunks the need for a 40-hour work week, salary information, and the qualities of a good manager. It’s lovingly entitled Adam Ruins Work. Don’t miss this. Even if you can’t watch it all at once (runtime a little under 30 minutes), it’s broken into short segments. Watching even one will lighten your (work)load.